Exquisite retreat with long range views from every window! Spacious master bedroom suite on main level offers privacy & views. Secondary bedroom also on main level, w/additional guest suite on lower level. Entertain guests in seasonal sunroom & enjoy mountain air & views on open deck while you barbecue. Beautiful millwork throughout home highlights the craftsmanship of original owner. Wonderful office/3rd bedroom w/bookshelves on main. Home boasts 9'ceilings, gas FP on main & woodstove in basement. Add'l 250sqft of storage. 3 car garage/workshop. 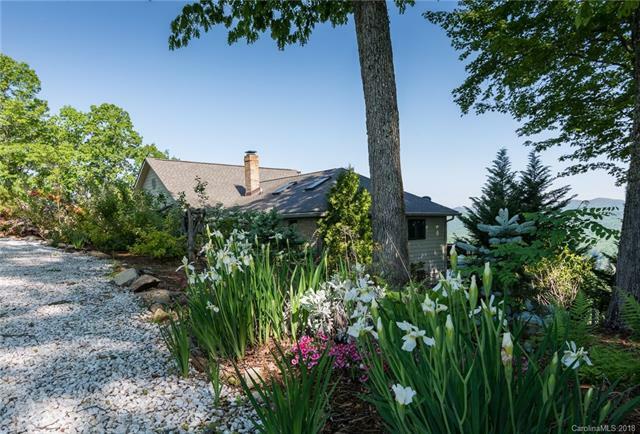 Easy access to Asheville, Hendersonville, Dupont Forest, Bent Creek Trails, Waterfalls... Home equipped w/generator & SS. Separate building on property for artist retreat or office. Nature lovers will also enjoy the 'Light Feather Retreat's' waterfall, secret gardens, firepit, perennials & more!